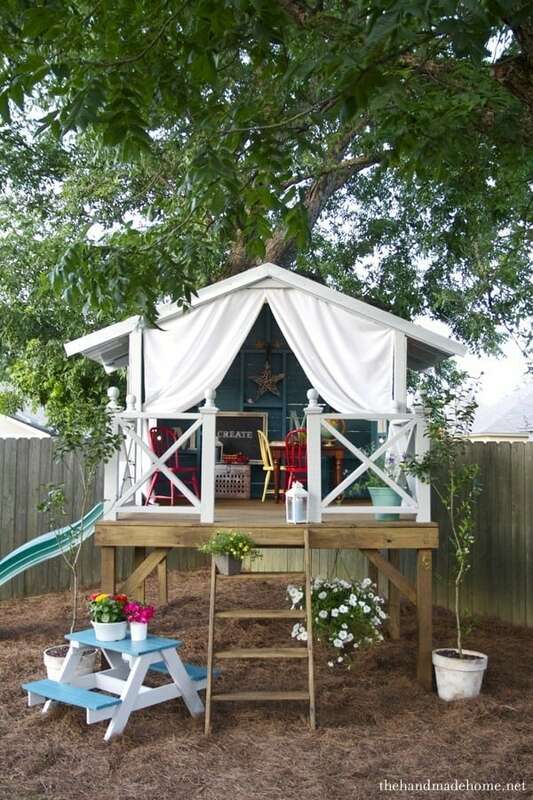 Every little kid dreams of having a treehouse that they can play in and have a special place to call their own. I have compiled of list of the most beautiful and fascinating treehouse ideas available. You will get so much satisfaction once you complete the project and you see the huge smiles on your children’s faces. Take a look at all these wonderful ideas to get some inspiration for your treehouse project, and check out our Best Tree Swing Ideas article for more! In only four steps and Instructables give a tutorial on how you can build your own deck style treehouse. It is nice because you don’t have to worry about making a roof because the tree does the covering for you! See how here. 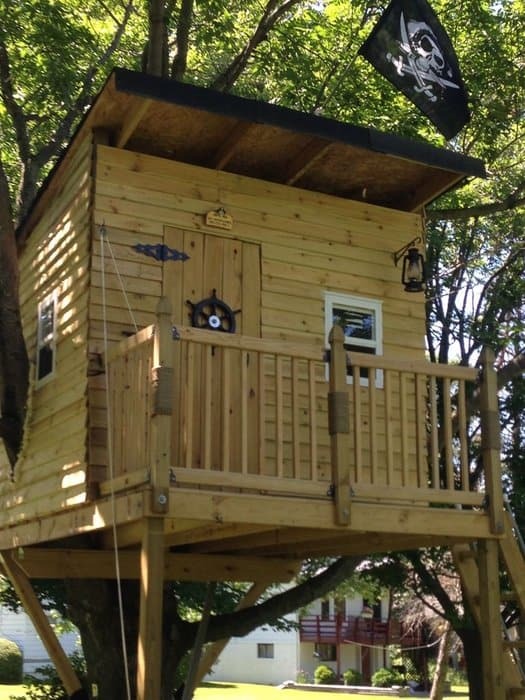 The Handmade Home will give you some inspiration with their gorgeous tree house. They have lots of different directions for each section as well as ideas for decorating your new tree house! You have to see this! Dornob shows you exactly how they built a modern treehouse that will blow your mind! It is so cool and your kids would love to play in it! Make your own. Mark over at Yea Dads Home shows how they built this fun and comfortable treehouse with a few supplies, tools and hard work. Don’t be afraid to tackle this project because you won’t regret it when it’s completed. See how to make yours. The Classic Archives has complete plans on what supplies you need to create a deluxe tree house yourself. It turned out gorgeous, and I am sure your children would get lots of use out of it. Make your kids one. Village Custom Furniture explains how he made this tree fort with a ladder. It is a straightforward design that is perfect for a beginning DIY’er. See how he made it here. Instructables made the type of treehouse we all dream of having. They give a step by step tutorial along with lots of photos to help you make one yourself. You can’t miss this one. 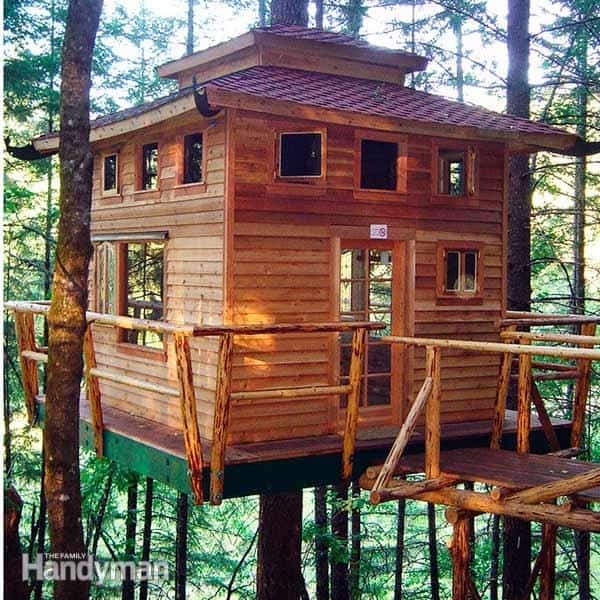 Family Handyman gives lots of tips and information on how to build the perfect treehouse for your family. They even explain how to pick the ideal location, avoiding restrictive tree growth and other helpful tips. Take a look! Over at Imgur you will find that they had an existing children’s play area that they did some work to in order to turn it into a new and improved playhouse. I love the extra character it has. Take a peek at what it looks like. 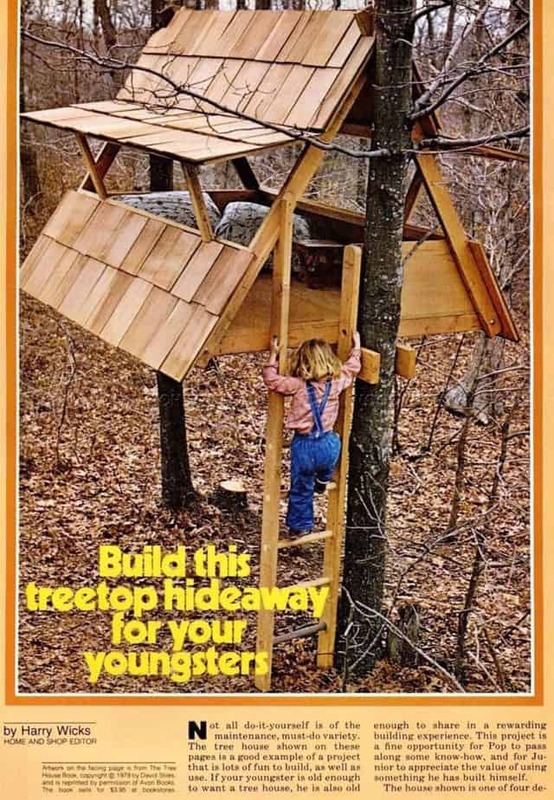 Popular Mechanics developed instructions on making a tree house to fit your area. They ended up with an adorable tree house that has a little bit of everything. Get started making yours. 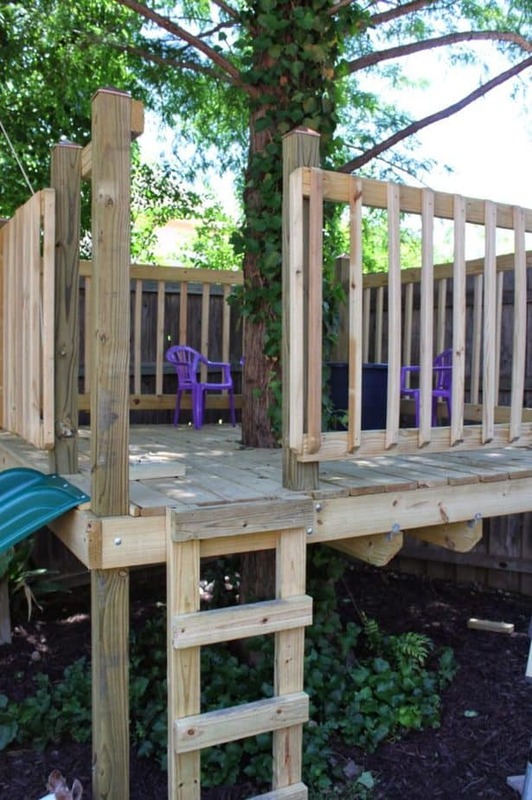 Maxwell at Apartment Therapy wanted to make a secure tree house on a weekend for his daughter. He shares how it completed this project. 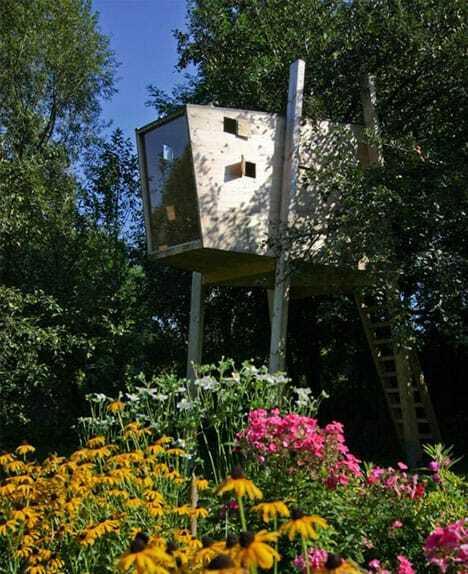 Make your own DIY treehouse here. 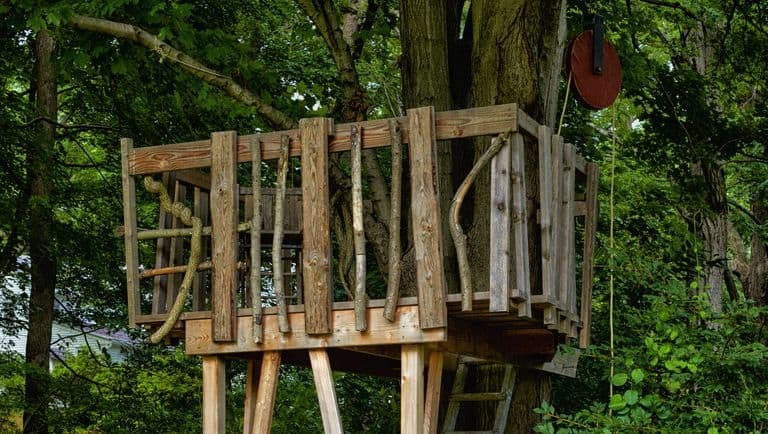 At Houzz share how some hard work, internet guidance, and some a few materials they were able to make an astonishing tree fort! You are going to want to see this one! Find out how they did it. Kristen at Capturing Joy shows how the whole family can come together and build a fantastic treehouse! All the effort they put in was worth it because it turned out great! See how they made it. Made With Happy was inspired to make a cute little hideaway tree house for her kids. I love the colors and style they chose. The tree house really took their yard from drab to fab! Try it out yourself. DIY Network gives us a peek at how to make a treehouse like nothing you have ever seen before. In about two days you can complete this unique project yourself. Have a look. 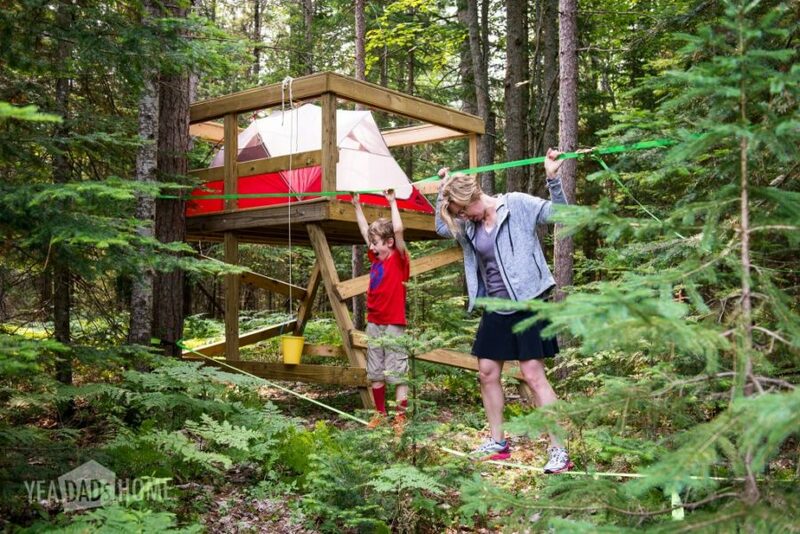 Wellness Mama developed an exciting way to introduce exercise and healthy living into the treehouse they built. It has a rock wall and even a zip line! Can you even imagine how much fun your kids will have? Check it out. Nelson Tree House made an outstanding tree house that is gorgeous and perfect for all the playtime your kids can imagine. They break down all the instructions so they are easy to follow and you will be building your own in no time. Take a look. 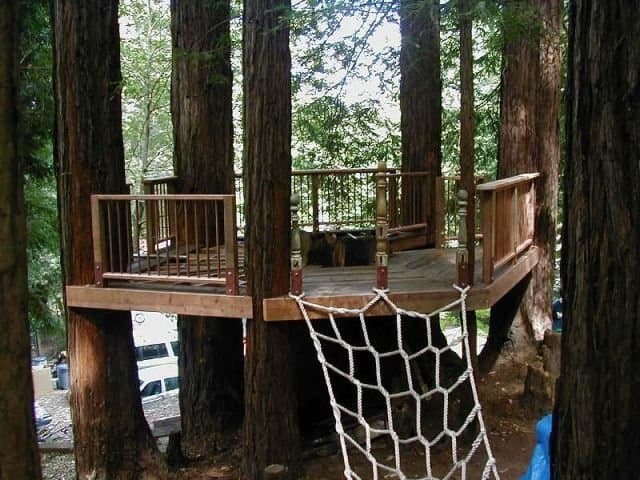 If you are looking for more than your ordinary tree house, this may be the perfect one for you. 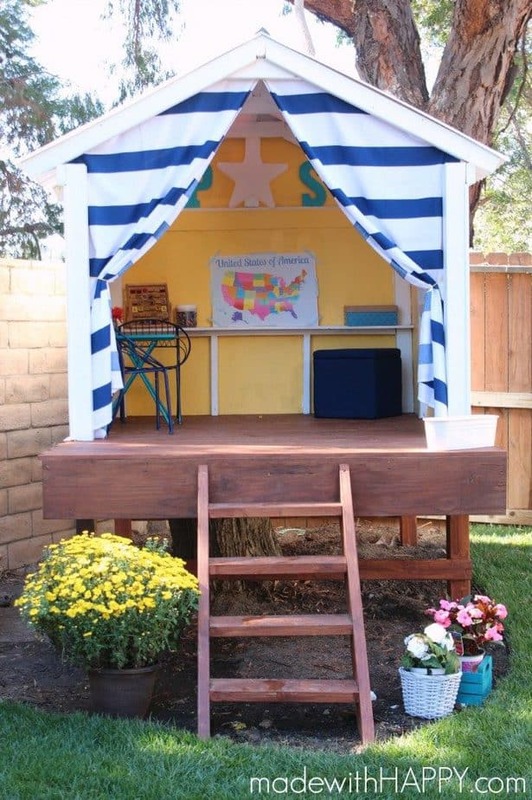 You can include a slide and a swing set so your children can have a little bit of everything. See how they did it here. If your kids love pirates, they are going to go crazy for this tree house made by John at Instructables. It has everything a little pirate lover could ever want. You and your kids are going to be so happy you completed this project. See how to make yours. 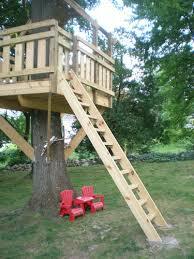 Ron Hazelton provides a video and instructions on how to make a comfortable tree house or tree fort. It’s a simple design that you can easily make yourself. Plus, your kiddos can even help you make it so you can have some family time too! How he did it. Wood Archivist shares directions on how to make a classic tree house as they made in the old days. The coolest part is these plans still work today. So get busy doing your newest DIY project. 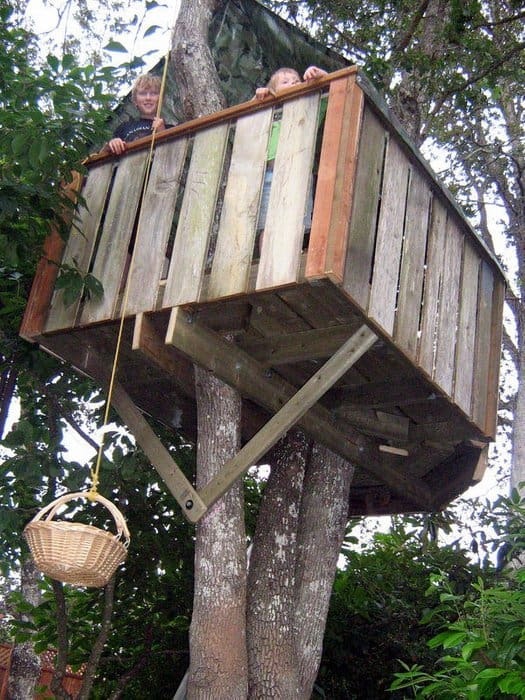 Hunker gives you information on how to make your own tree house with minimal effort. You don’t have to create something that is huge and extravagant for your children to enjoy it. See their instructions. DIY Network shows you how to assemble and install a tree fort with a kit. It is adorable, and you can leave it as plain wood or paint it to add some colors to it. Either way, this is a fun project! See how to do it. Instructables gives a detailed guide on how to make a tree house and add a pully system. Your children will have a blast sending the basket up and down all the time. See how to make yours. Crafty Texas Girls gives you some inspiration for a tree house with their custom design. 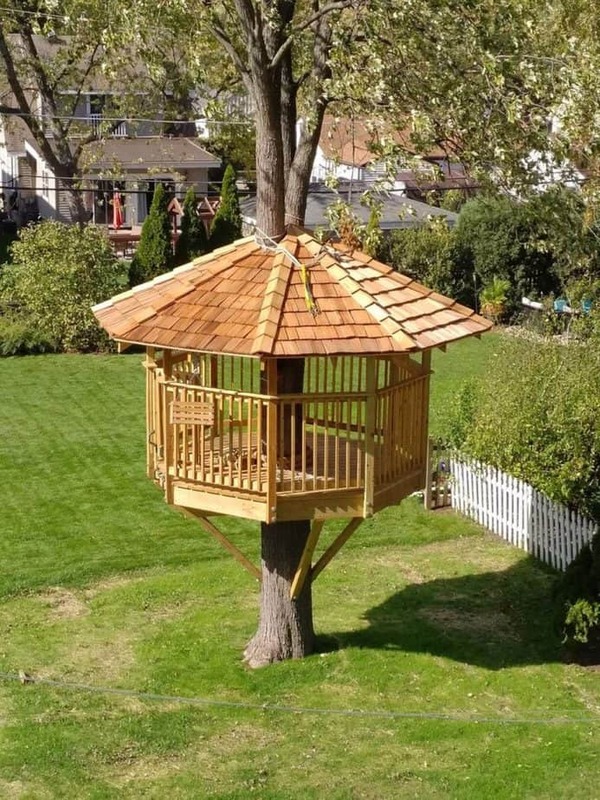 This tree house is fun to build for everyone in the family. Check out their page for some ideas. 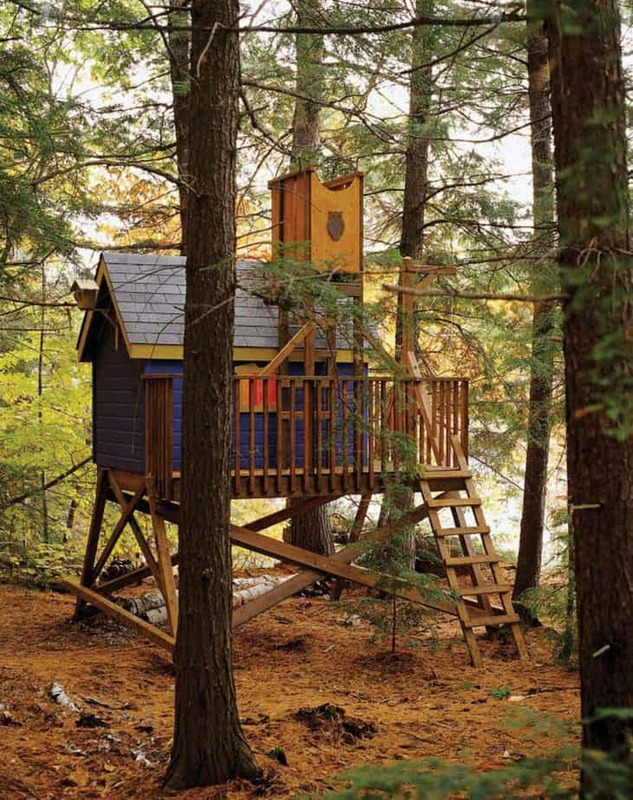 Which of these tree houses or forts is your favorite? We would love to hear your comments below!